Following a successful lunar capture on April 4th, the Israeli Moon lander Beresheet is now close to its final destination — supported by the Swedish Space Corporation (SSC). The international Space community is following the final landing on the surface of the Moon – estimated to occur on April 11th - with excitement and anticipation. The spacecraft Beresheet was launched on a SpaceX rocket from Cape Canaveral in Florida on February 21. SSC designed the ground communications network solution used by the spacecraft on its journey to the Moon. Swedish Space Corporation's ground station network. Image is courtesy of SSC. The space flight has involved a number of orbits around the Earth and planned course maneuvers to set the correct course trajectory – and finally the lunar capture, which occurred on April 4 when the spacecraft entered into orbit around the Moon.. The spacecraft is estimated to land on April 11th. If the landing is successful, the spacecraft will conduct measurements on the Moon’s magnetic field and send images and high resolution video to Earth. The mission is organized by the Israeli non-profit organization, SpaceIL. This will be the first privately funded lunar mission to land on the Moon. 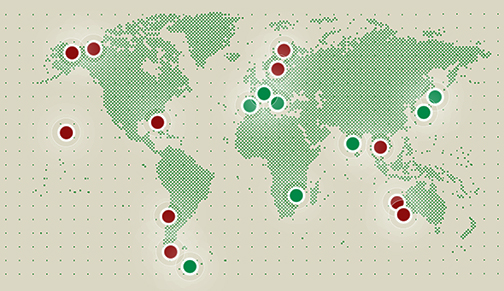 The underlying objective according to SpaceIL, is to inspire young people to choose scientific education paths. 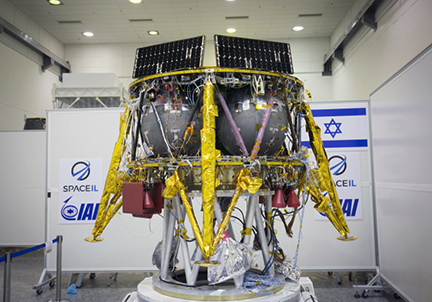 SpaceIL and IAI's Beresheet lunar lander. John Taylor, the Chief Engineer at SSC, said it is a highly interesting project for the Space community and it has also been an exciting challenge for the SSC engineering team to design the communications solution for the whole mission. Now all wait the landing with great anticipation.